Earlier today New York City FC announced they have reached a new multi-year contract with Luxembourg International defender Maxime Chanot. I’m very happy to sign a new contract with New York. The Club has been very successful over the past few years and I know we will continue to improve and remain one of the best teams in the league. I want to thank God for this opportunity. Of course, a big thank you to the Club and everyone involved at NYCFC who have helped me in my time here and will continue to support me going forward. Back in November, before NYCFC announced roster cuts, Maxime sent out a highlight reel of his 2018 season. That tweet had me worried a bit as it came during a time when teams across Major League Soccer were announcing roster cuts and especially because Maxime never really tweets highlights of himself during the three years he’s been with the team. Then a few weeks go bye and NYCFC announced they would not be picking up Maxime’s contract for the 2019 season along with a list of other players. 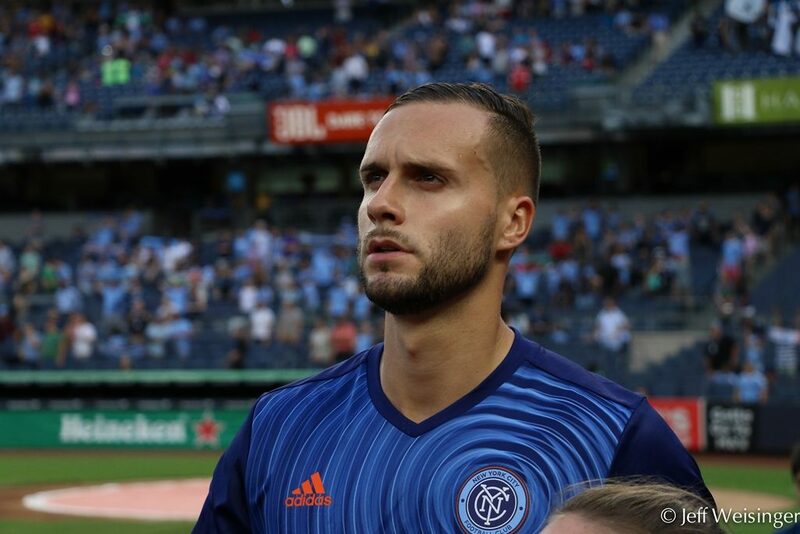 Chanot has made 43 regular season appearances, 5 playoff starts in his first 3 seasons with NYCFC and scored 4 goals. Internationally Maxime Chanot has recorded 31 caps and 3 goals with Luxembourg across all competitions since 2013. As mentioned before on the podcast just because NYCFC did not “pick-up” a players option does not mean they are are entirely gone. It was quite really pleasing to see Maxime and the team agree to a new multi year deal. As usual with MLS contract, full details of the length of the contract was not disclosed. What we do know is that it’s a multi year deal (at the least 2 years) and most likely the contract includes renewal options after the second year. Once we learn more we’ll let you know. Welcome back Chanot!